Sunset Hills is a great community located in the peaceful white collar DC Corridor suburb of Reston, Virginia. While many areas of Reston are known for their condos or for their townhomes, Sunset Hills is known for its great real estate and high property values, and its large number of single citizens that inhabit these great properties. Nearly 60% of the inhabitants of Sunset Hills are Single, higher than most other communities throughout the United States by a good deal. Another astounding number, over 95% of the citizens of Sunset Hills work for the government. Being government employees these people make great livings, higher than almost 90% of the rest of the inhabitants of America. This helps to explain why the property values are so high, or nearly $430,000 per home in the Sunset Hills community. Top it off with the proximity to the nearby Reston Town center and its great shopping, restaurants and nightlife, and the Hidden Creek Country Club with its many athletic activities and social events, and you have a great place for any upwardly mobile single lady or gentleman. 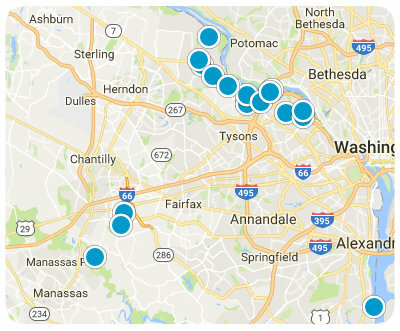 Sunset hills offer rustic beauty, great amenities and easy access to nearby urban hubs like the District of Columbia.